Raumfahrt - Wo ist Mars-Rover Curiosity ? Raumfahrt - Von Nordholz aus ins All? Chinese President Hu Jintao on Saturday congratulated the country's space scientists and astronauts on the successful launch of the Shenzhou-9 manned spacecraft. "I feel very glad to hear the success of launching the Shenzhou-9 manned spacecraft and I would like to extend warm congratulations and sincere regards to all those participating in the research and tests (of the country's space program)," Hu said in a congratulatory letter sent from Denmark's Copenhagen, where he is paying a state visit. State Councilor Liu Yandong read the letter on behalf of the president at the Jiuquan Satellite Launch Center in northwest China. The rendezvous and docking between the Shenzhou-9 spaceship and the orbiting space lab module Tiangong-1 will mark a major breakthrough in the country's manned space program, said Hu in the letter. He expressed the hope that the space staff carry on their work unremittingly and focus on following jobs to achieve a full-scale triumph. 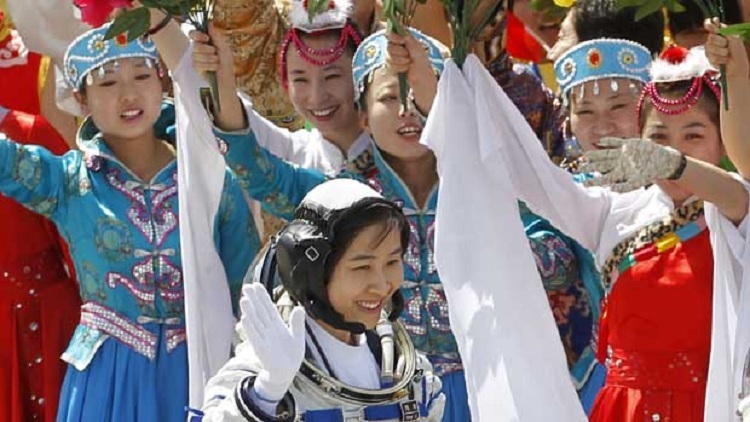 China on Saturday sent its first female astronaut, together with her two male crew mates, aboard the Shenzhou-9 spacecraft, into space. Shenzhou-9, atop an upgraded Long March-2F carrier rocket, blasted off from the Jiuquan Satellite Launch Center at 6:37 p.m. Saturday. BEIJING, June 16 (Xinhua) -- China has designed contingency plans to address more than 700 emergencies during the Shenzhou-9 space mission, which includes both automated and manual docking between the spaceship and the target orbiter Tiangong-1. 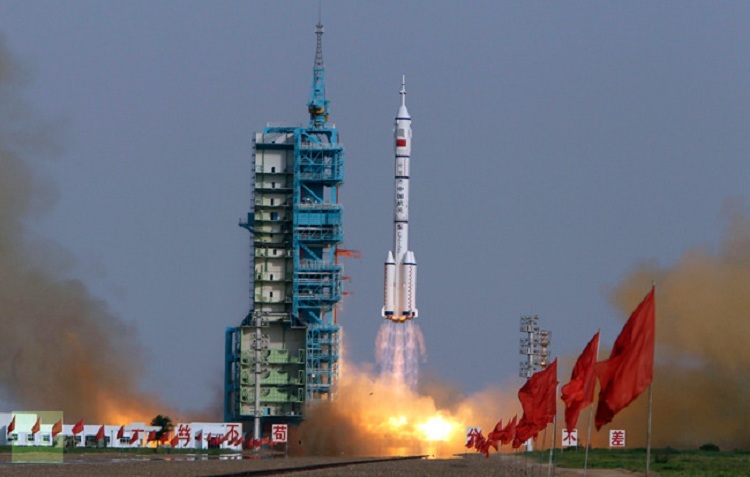 Ma Yongping, deputy head of the Beijing Aerospace Control Center, said here Saturday, "We have put in place all preparations concerning the flight control of the mission." China successfully launched an upgraded Long March-2F rocket in late Saturday afternoon, carrying Shenzhou-9 spacecraft, with the country's first female astronaut and another two men aboard, into space for a 13-day space voyage. "In terms of safety requirements and risks control, there are so many differences between manned and unmanned missions," Ma said, noting that changes in flight states and much longer flight hours this time would bring difficulty to the flight control efforts. The control center has upgraded the spaceship-to-Earth communication system needed for conversation, video and email between astronauts and ground commanding officers, Ma said. The contingency plans would provide astronauts with guidance to countermeasures for any of the 700 scenarios, he said.